Is This The Real Reason Why Stocks Are Surging? Wondering why US equity markets are soaring at a pace not seen since the March 2009 lows? 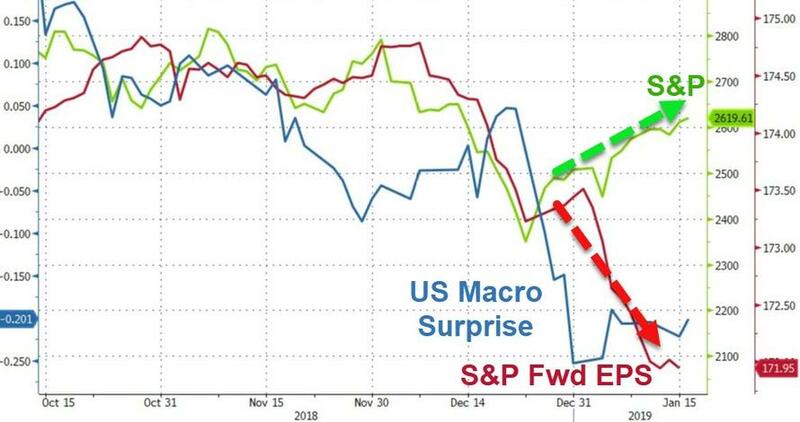 Confused by the massive swings higher despite weak macro data, and tumbling earnings expectations? Well, the answer is simple once again, "it's not the economy, it's the central banks, stupid!" Q4 2018 saw global stock markets finally wake up to the fact that the world's central banks were withdrawing liquidity and played catch-down to an ugly tightening reality. December's contagion to American stocks was the final straw for the world's elites however and after the Mnuchin Massacre, it appears the Plunge Protection was ordered back into battle and as the chart below shows - central bank balance sheets suddenly started to grow - aggressively so... and that is what is dragging stocks higher, squeezing shorts at an unprecedented pace, and economically irrationally levitating P/Es despite a wall of uncertainty ahead. So WTF is Draghi doing? 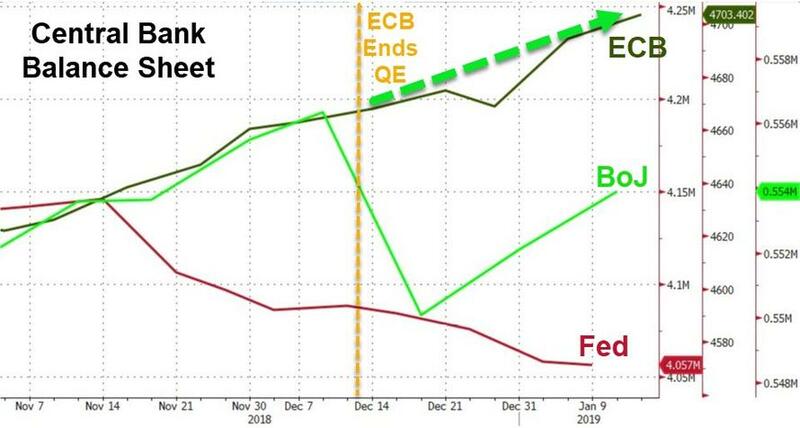 It's been a month since The ECB was supposed to have halted QE and yet the balance sheet is surging still? So the simple lesson once again is - watch what they do, not what they say! !